The Corcoran Gallery of Art is currently closed for renovations -- but you can get in by attending the SOME Junior Gala. The senior curator of photography and media arts for the Corcoran Gallery of Art is moving on up, just not in DC. 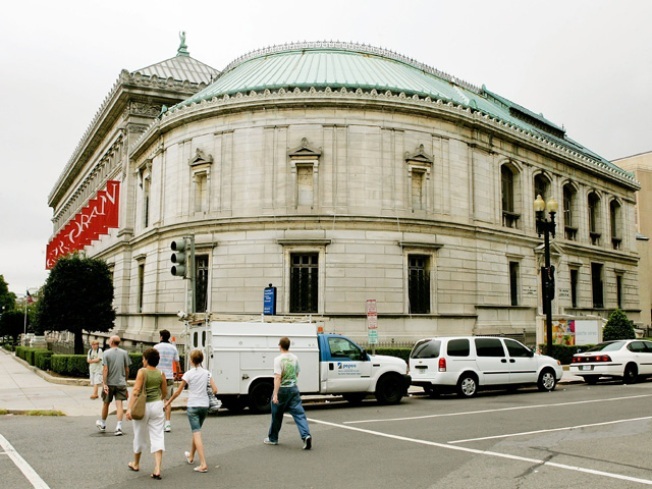 In an email Saturday, Paul Roth announced that he left the Corcoran Gallery of Art on Dec. 31, 2009, to take a position as the Executive Director of The Richard Avedon Foundation in New York, DCist reports. All through my time there, the Corcoran's Board and directors gave the curators great freedom to organize exhibitions that are among the best anywhere. It goes without saying that photography remains a strong feature of the institution's planning for the future. According to DCist, it also goes without saying that the institution has lost one of its most significant voices. Roth has worked at the Corcoran since 1996. He organized such exhibits as the Richard Avedon: Portraits of Power, which ran from Sept. 2008 through Jan. 2009 and Edward Burtynsky: Oil, which opened in the fall of 2009. According to his biography on the Corcoran Curators web site, Roth previously held curatorial positions at the National Gallery of Art in Washington, where he was the archivist for the Robert Frank Collection, and at the Center for Creative Photography in Tucson, Arizona, where he was the Ansel Adams Fellow. Assistant curator Amanda Maddox will take over the photography collection and programming in his place.